Since 2014 Bru has been on a committed journey to evolve the coffee shop culture for generations to come. Foregoing traditional opening hours combined with exceptional service and innovative menus, Bru takes pride in offering our valued customers a unique experience like no other. 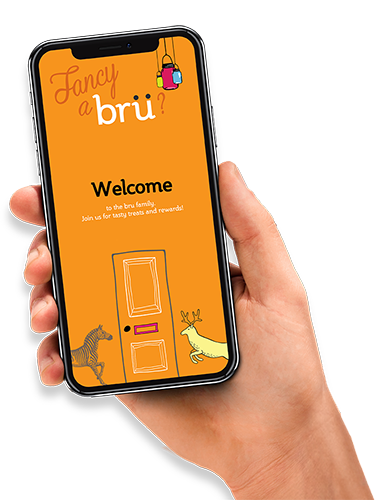 Tailored to accompany today’s varying lifestyles, Bru serves up a wide range of food and drink options catering for all taste buds, diets and occasions. Open from early morning to late night Bru has you covered for breakfast, elevenses, lunch, afters and in-betweens. From coffee drinkers to dessert lovers, Bru has something on offer for all!